As I drove into work this morning (Jet Graphics if you didn’t know ) I was thinking, if we are going to add a day to the year for the purpose of bringing our calendar in sync with the universe, why does it have to be another ordinary day. Why not make it a Holiday once every 4 years to do something extraordinary. And if we are gonna add a day, why does it have to be in February. Why not during the summer, it seems like a better time to have an extra day. The church at 2312 S Washington Ave is now New Beginnings Life Changing Ministries but here is what is written on the historical marker. 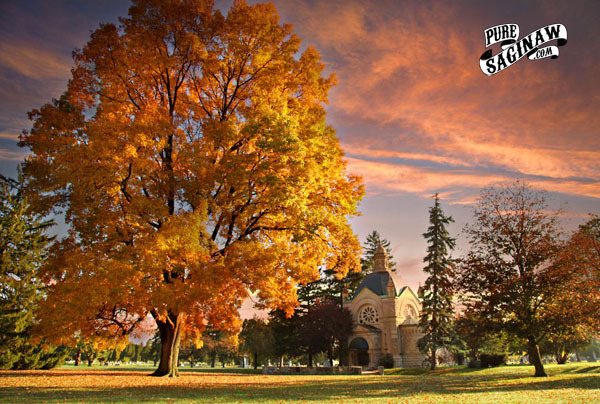 Begun in 1865 as a Sunday School for children of this area, the Presbyterian Church of South Saginaw was formally organized on November 10, 1866. Shortly afterwards, the congregation purchased a small building in the corner of Washington and Williamson. 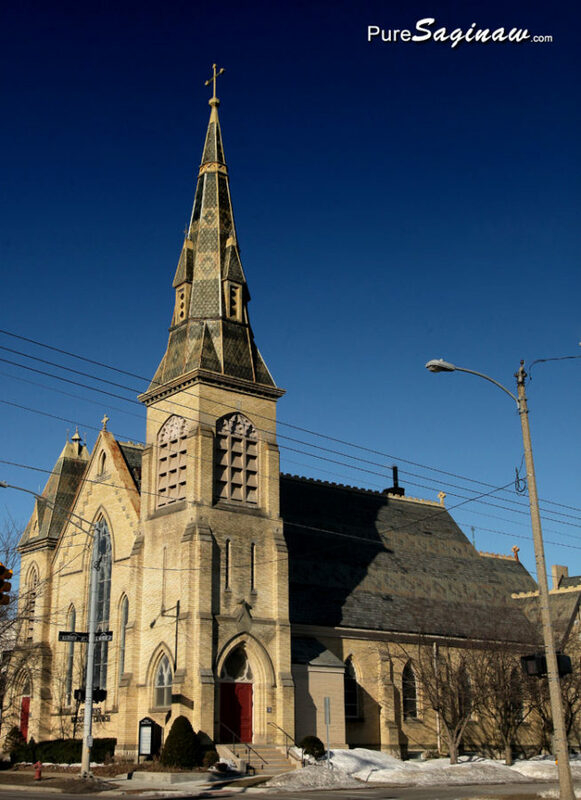 In 1872 Norman Miller of Saginaw City gave the congregation the lot across the street from the original church. The frame structure was moved to that site, and worship services were held there until 1885, when the present brick church was erected on the same lot. 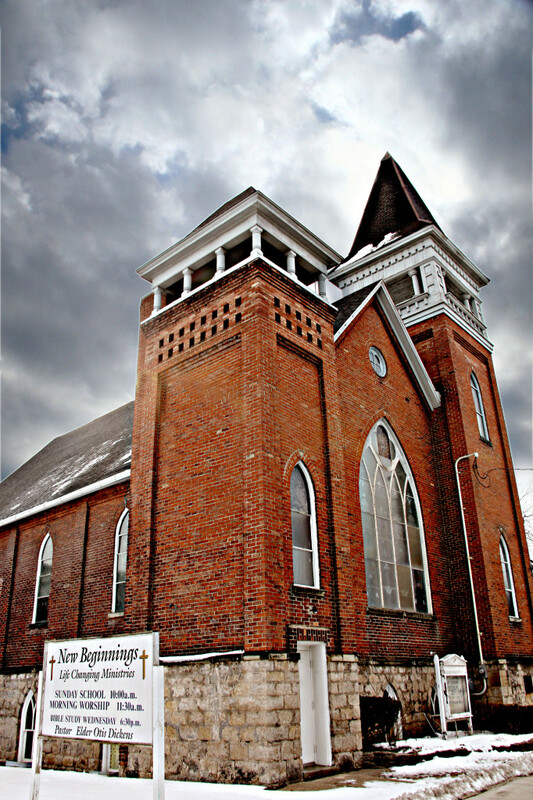 With the consolidation of the cities of East Saginaw and South Saginaw, the church became known as the Washington Avenue Presbyterian Church. The city’s first Boy Scout troop was chartered at this church and one of its most outstanding members, William M. Brucker, ruling elder of the congregation for many years was governor of the State of Michigan from 1931 through 1932. 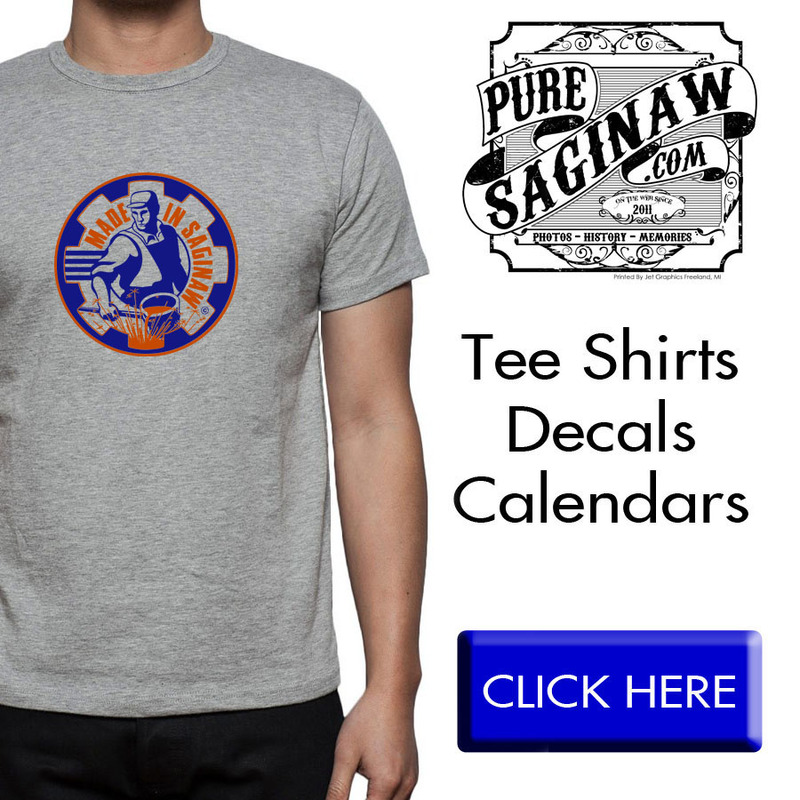 I was born and raised in Saginaw and lived here all my life, and if you don’t know me, I am 45 years old. To some I am an old geezer, and to others I am still a kid, but I digress. 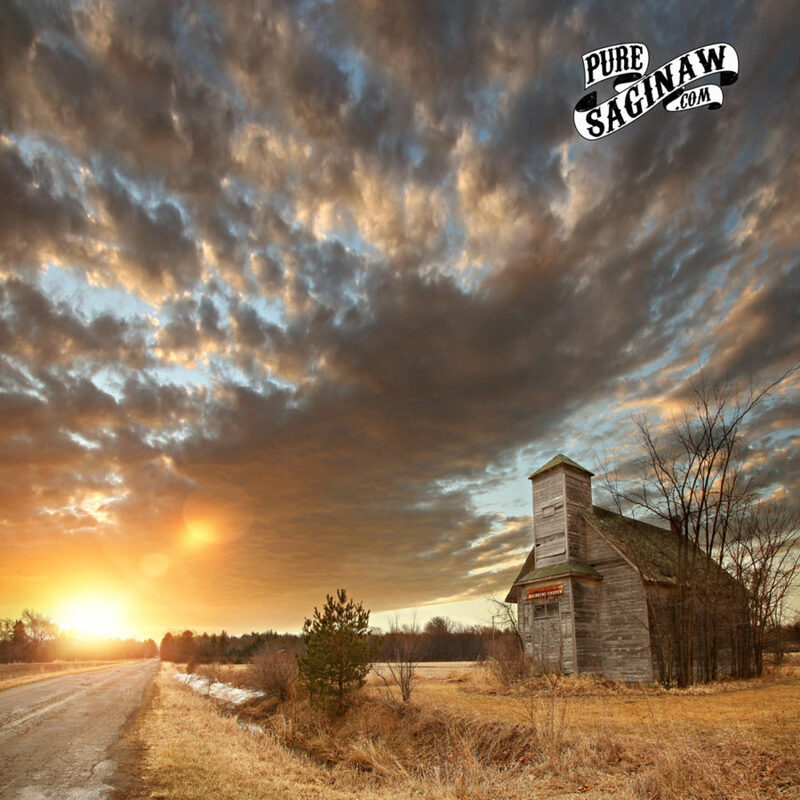 I tell you my age because for years I would drive around Saginaw to get to where I am going, but never really noticed much around me. 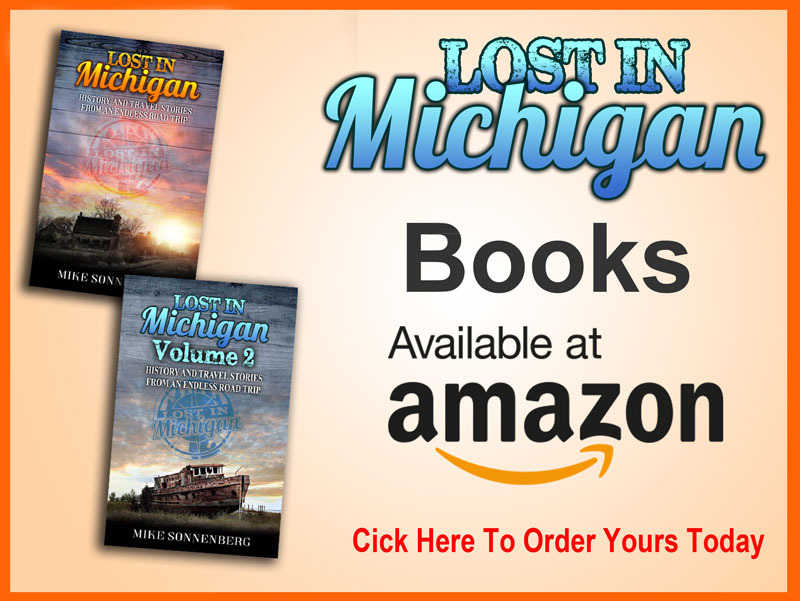 Since starting this page I have been much more aware of my surroundings and driving the back way from Bridgeport to Saginaw I went past Forest Lawn Cemetery and noticed an ornate building out of the corner of my eye. I went into the cemetery for a closer look and I never knew about the chapel. I am sure I have been in the cemetery before, but I guess I never really noticed the magnificent stone chapel near the entrance. 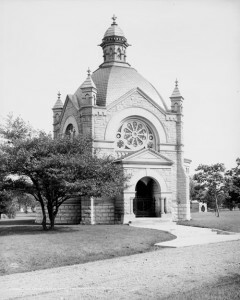 in 1944 the Chapel was updated with the construction of a furnace room and the addition of modern indirect lighting. The Chapel was also redecorated to create a “more religious experience” The approach to the chapel was also changed and the addition of the current Bay Port stone retaining wall was added. Sadly with the decline in the City Of Saginaw’s cemetery budget, the chapel is no longer being used or maintained and as we all know Michigan weather is not kind to old abandoned buildings. Getting back to my age of 45 I am starting to know how my grandfather felt when he talked about all the buildings and places in Saginaw that are gone as he got older. 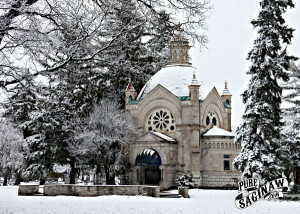 The chapel still is a beautiful building, I wish it could be used for something else again, I think it would be a nice wedding chapel, but I think few brides want to get married in a cemetery. St. John’s Episcopal Church on Michigan Ave looked beautiful in the sunshine, so I stopped and got a pic.